Is religion a plus or minus when it comes to global health and the “right to health” in the twenty-first century? A little of both, I’d say, but what does that look like? For me the connection is seen most clearly in the “social determinants of health”; that is, “the everyday circumstances in which people are born, grow, live, work, and age.” This post considers a selection of photos that shape how I see social determinants intersecting with religion. Photo by S. R. Holman. 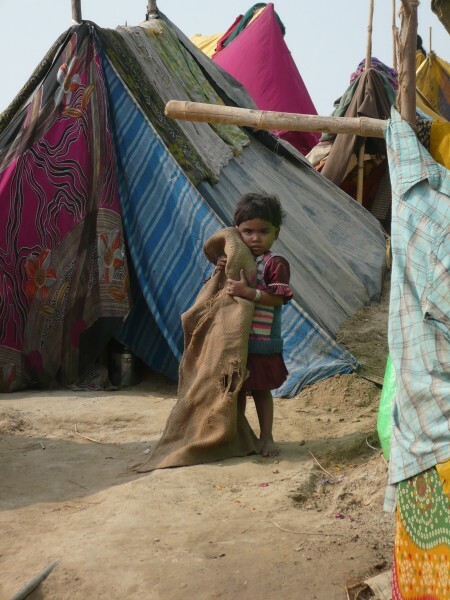 This child met my gaze at the 2013 Kumbh Mela, a Hindu bathing festival in rural India, where her family was working. She stands just a few yards from a new-built latrine and the faucet providing piped clean water to this workers’ camp. Simply because she is a poor girl, her chance of education is dismal and, according to recent research on maternal literacy, her literacy level will someday directly affect her children’s health. Yet unlike Americans, she lives in a nation that ratified (official accepted under law) the International Covenant on Social, Economic and Cultural Rights (ICESCR), meaning that families like hers ought to be able to enjoy equal rights to food, housing, and education. I see here a little girl hugging a beloved blanket. What do you see? 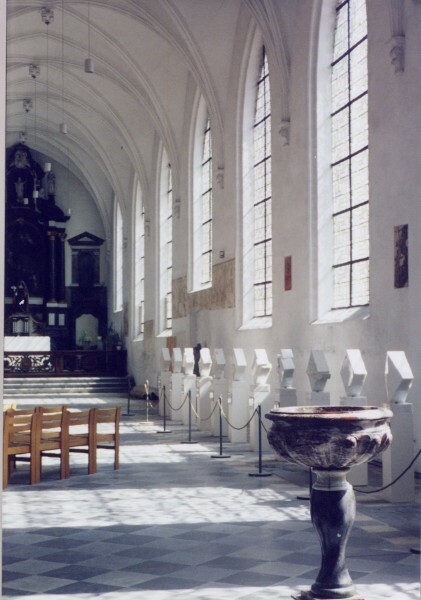 This side aisle in the church of the Great Beguinage of Leuven, Belgium, reminds me that faith communities are sources for “religious health assets” (RHAs), that is, faith-based resources that contribute to individual health and the greater social good. A 2006 report of the African Religious Health Assets Programme (ARHAP) spells out a broad range of RHAs, including those that are tangible — e.g. rituals, medical facilities, education, funding, and opportunity for training in leadership — and those more intangible, e.g. prayer, advocacy, resistance, and belongingness. American health policy today has roots in 18th- and 19th-century ideas that continue to shape decision making. My research on Dr. Henry Trevitt (whose ca. 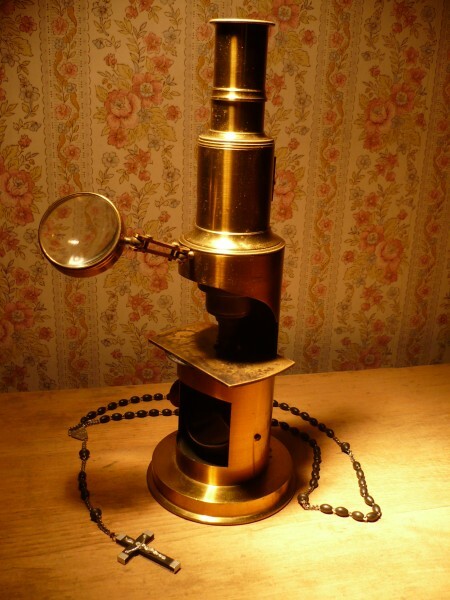 1850 microscope is seen here) has shown me more clearly how complex connections are between medicine — individual disease treatment — and public health — which relates to groups, economics, and public policy. A Protestant Yankee, Trevitt got embroiled in a tangle of health controversies over prisoners, paupers, insanity, revolution, the medical marvel Phineas Gage, maternal mortality, and murder. The rosary here belonged to his wife who herself would die impoverished, a ward of the state. Woodcut illustration by Jacob Locher, used by Silvan Otmar of Augsburg (d. 1540). From the “Provenance Online Project” (at Penn Libraries). CC BY 2.0 via Flickr. Global health crosses time, as our own heritage of religious tradition, class, and economics shapes present realities. 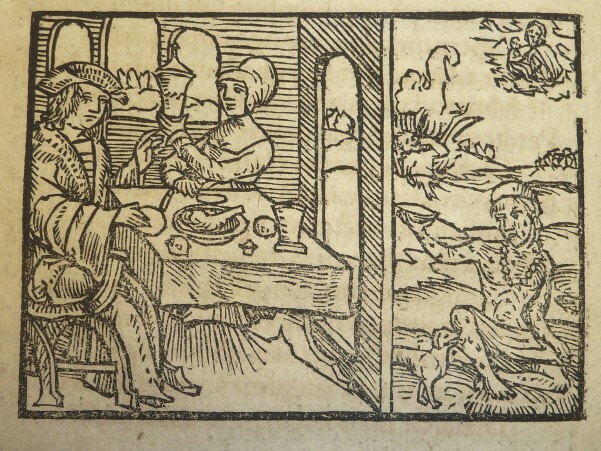 The Protestant reformers who influenced so much North American policy leave us images such as this 1540 woodcut of the biblical story of Lazarus and the rich man (Luke 16:19-31). I’m struck by the spare simplicity of the rich man’s table, a contrast to our culture’s focus on “all you can eat.” But why is Lazarus wearing a necklace? Human rights abuses often start with the rich. 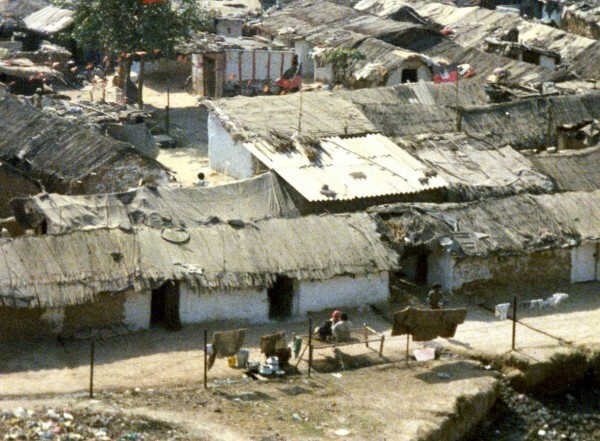 The Christian social worker who accompanied me through this informal settlement in urban Delhi, where residents of manifest dignity were creating beauty against impossible odds, told me how a rich NGO had taken photos of their poverty in order to profit from false charitable appeals. Katherine Boo’s recent book, Beyond the Beautiful Forevers, based on life in such an impoverished community, is a good companion for thinking about how we might engage with more responsible ethics. 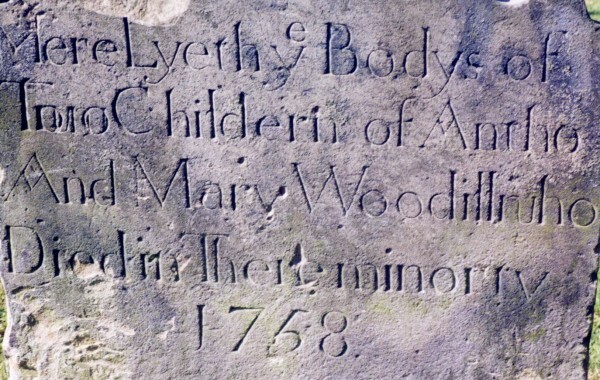 This 1758 gravestone overlooking the North Sea mourns two children who died “in their minority.” Like them, more than half of the 6.3 million children under five who died around the world in 2013 also succumbed to conditions that could have been prevented or treated with better health care access. Such markers witness the fragility of children’s lives, and the role religion plays in the social fabric of such risks. In Matthew 25:31-46, illustrated here, Jesus describes faith-based “righteousness” as providing food, drink, housing, clothing, shelter, medical care, and relief to the needy. These are the same resource mandates affirmed in Article 25 of the Universal Declaration of Human Rights and human rights law under the ICESCR. They also define almsgiving in Islam (depicted vividly in Ismael Ferroukhi film on the hajj, “Le Grand Voyage”), Judaism, and even Hinduism, where “daan” is a secret donation that even the giver should forget. Sometimes the most enduring image of how religion affects health is not what you see, but what you don’t. 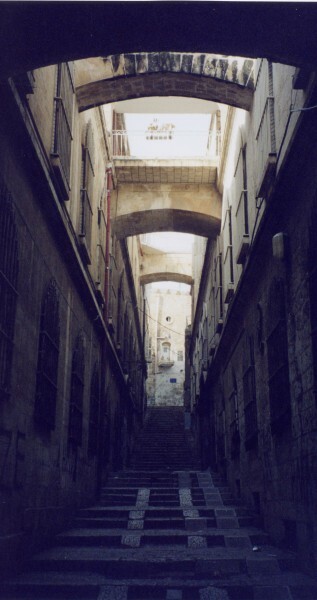 Old Jerusalem’s alleys are narrow and usually crowded with vibrant markets, and religious pilgrims. This empty street, seen between Muslim and Christian neighborhoods a few years ago, is a haunting reminder of tensions in the body — individual and collective — that can follow when faith identities and health-related resources and practices go missing, or fail to connect equitable human rights with hope and health for all. 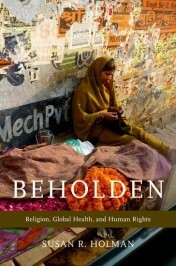 Susan R. Holman is a scholar in religion, Senior Writer at the Global Health Education and Learning Incubator at Harvard University, and most recently, author of Beholden: Religion, Global Health, and Human Rights. She posts random jottings at her academic website and has been profiled online at The Poor in Spirit and the University of Virginia’s Project on Lived Theology. She is a fan of Krzyztof Kieslowski films, enjoys walking in the rain, and recently learned to repair old sash-weight windows.